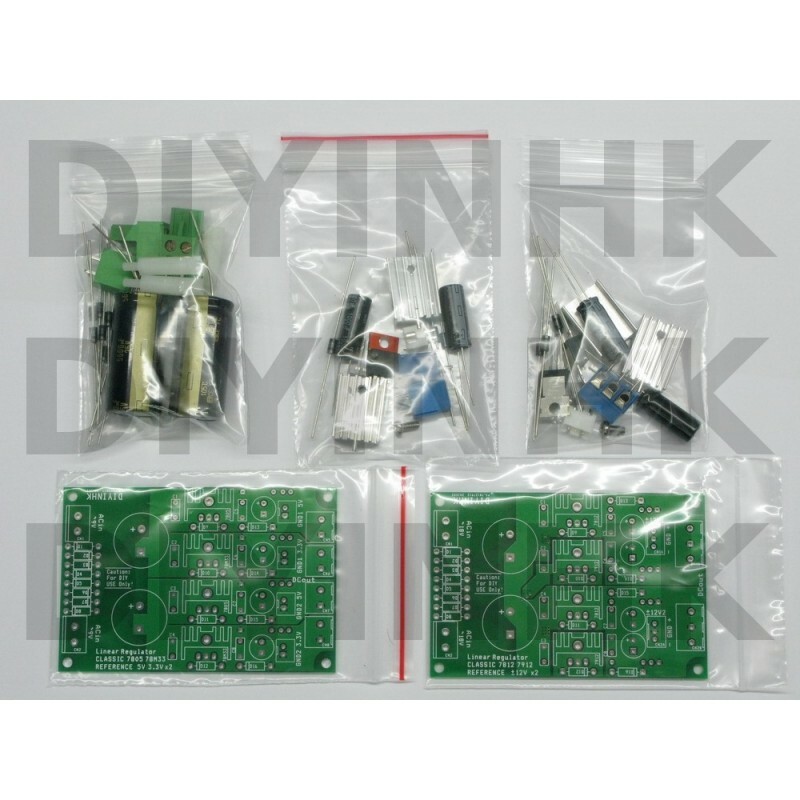 This item includes PCB and all thru-hole component are not soldered. 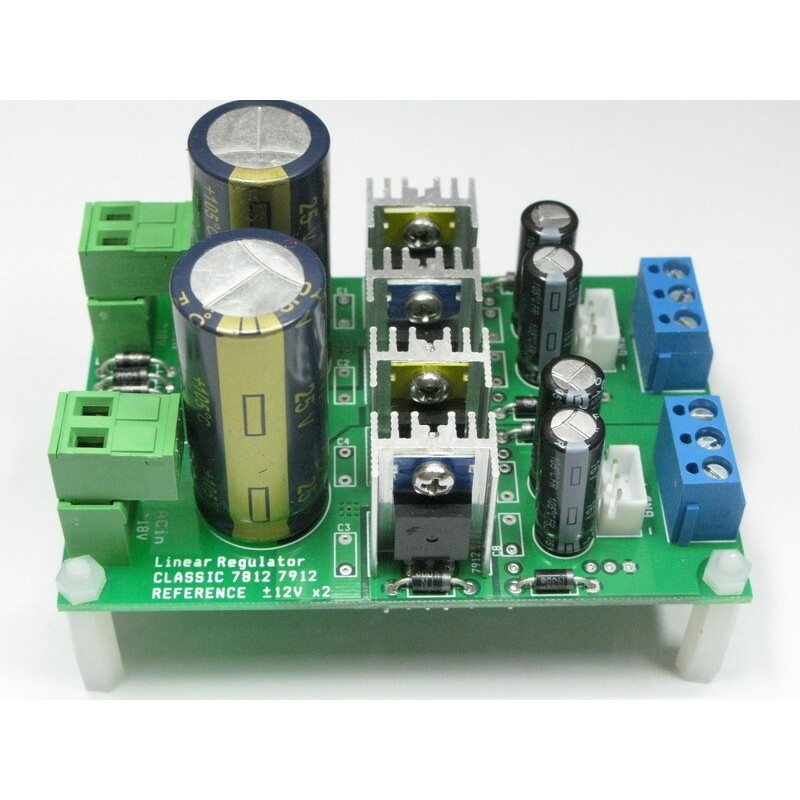 This is the best classic reference linear regulator for both beginner and expert. 2) High quality 304 stainless steel m3 screw for headsink to avoid rust after few months of use which commonly seen in low quality diy kit. 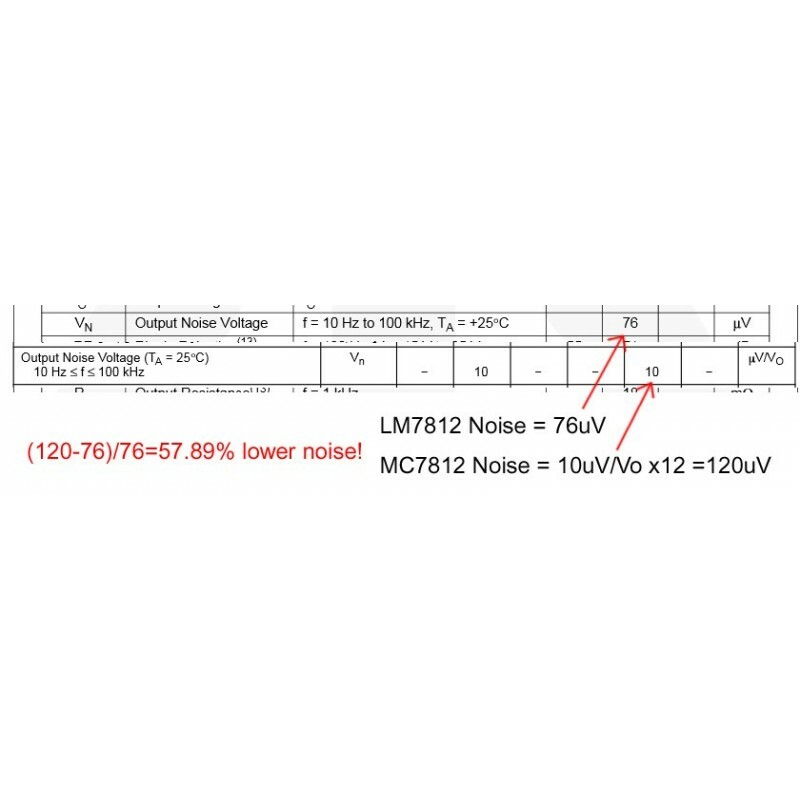 3) 58% lower noise than other 78xx regulator. 4) Easy customization and upgrade with preallocated footprint space for additional 5mm spacing decoupling film capacitor, LED and 5mA loading etc. 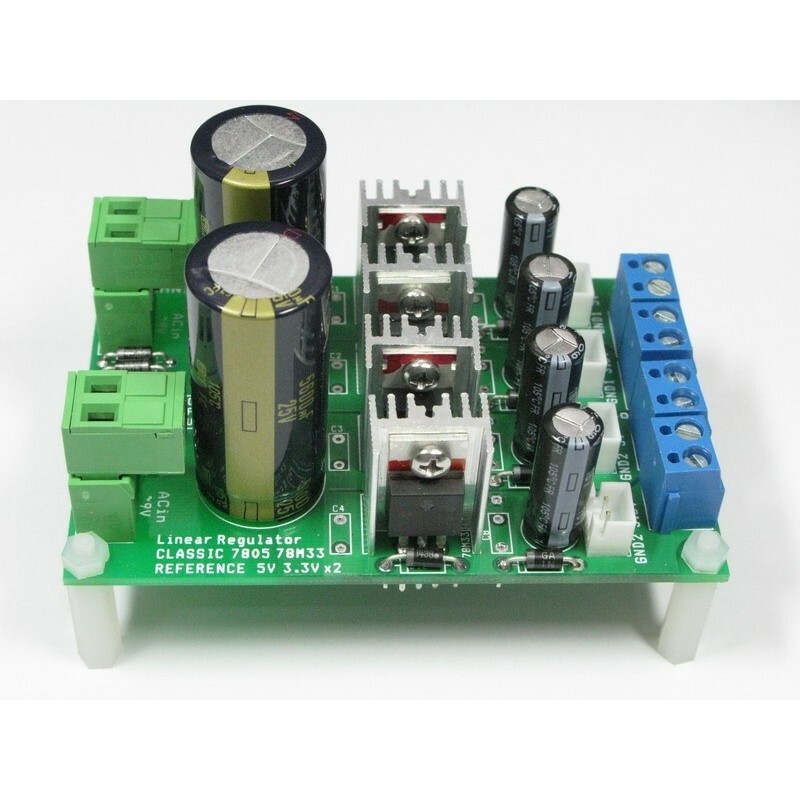 5) The PCB follows the official demo circuit for guarantee performance. 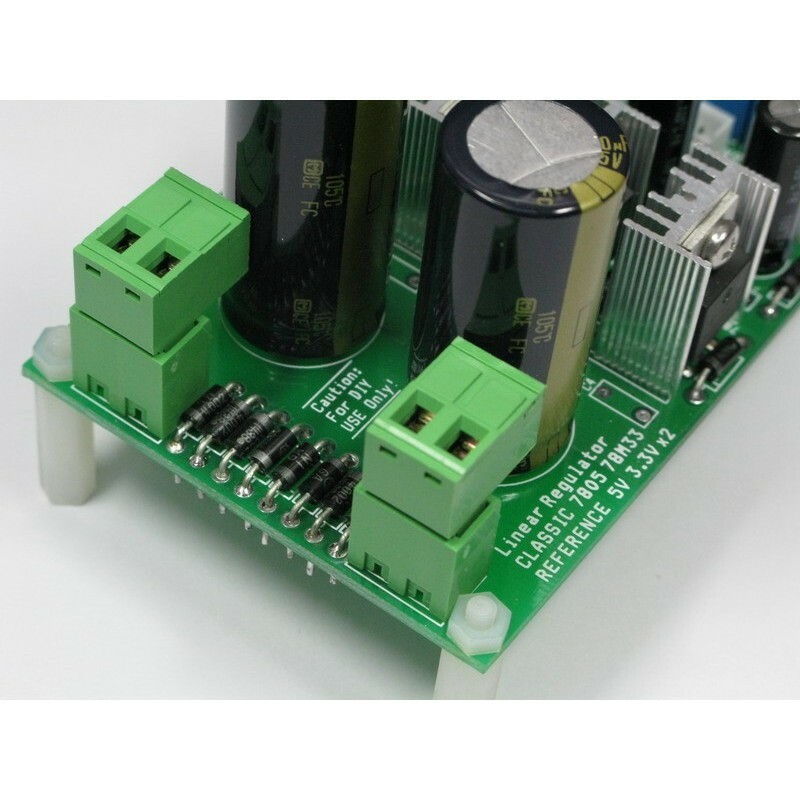 1) Double check the polarity of the capacitor and diode is correct before connect AC power input to the PCB, the capacitor will explode immediately if it is reversed connected. No return is accepted after the pcb is soldered. 2) Please read directly from the PCB and the official 78xx datasheet for usage detail. This item is in limited stock, maximum 5pcs per buyer. Please contact us if you want to buy more than 5, thanks.